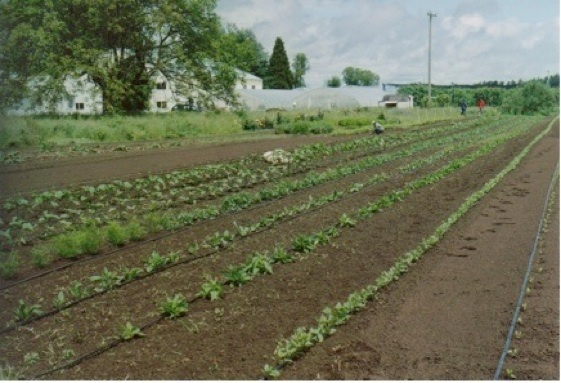 Grateful Harvest Farm is an Oregon Tilth Certified Organic produce farm located in the southern Willamette Valley of Oregon. A family farm encompassing twenty-six acres, we have been providing high-quality produce including tree fruits, berries and vegetables to our community since 1994. In order to accommodate the increased demand for delicious local foods and chinese foods at the year-round farmer's markets in our area, we built a commercial kitchen to include a value-added line of products. Along with our fresh, seasonal produce, our dried fruits and fermented vegetables reflect our love of farming and our care for the earth and our community. We hope you enjoy learning about Grateful Harvest Farm through this website, and thank you for visiting us online!